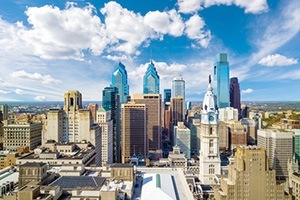 Philadelphia is a major urban presence on the Atlantic coast. Located between Washington DC and Boston, the city is a major economic player. Just as any big city, Philadelphia has challenges people need to face. Sometimes, it really isn't the City of Brotherly Love. A group legal plan can be valuable to employees who are confronting one emergency after another. Disputes between neighbors and with merchants can end up in small claims court. There are consumer protection problems that arise now and then, as warranties are not honored. Philadelphia is a major metropolitan city with a government bureaucracy. Sometimes, getting help from local government is difficult. ID theft, which can harm financial wellness, is a real problem that has to be confronted. It is not easy for anyone to face these obstacles alone. Pre-paid legal services can be important. What Constitutes a Good Legal Benefit? There are core elements of a legal plan which ought to be provided. Writing a will is a standard benefit. Drafting a power of attorney and living will are also documents which are critical to have, and will protect financial wellness. But a decision-maker has to remember there should be a little bit more to any benefit. Pre-paid legal services have to have some extra qualities to be affected. This can include face-to-face consultation with an attorney if it is necessary. It goes without saying that an unlimited number of telephone calls is also essential. A small claims court hearing can have a serious impact on the financial wellness of anyone’s bank account. Help in creating a solid case is appreciated. It is nice to have an attorney close by. No one living in Philadelphia should have to make a call to Pittsburgh, and our attorneys are in the Philadelphia area. Countrywide Pre-Paid Legal Services offer group legal plan benefits which go the extra mile. Our attorneys are part of a nationwide network that provides pre-paid legal services to plan members in numerous organizations. At the same time, our attorneys apply the human touch to all of their efforts. Nobody is made to feel their problem is minor. Everyone gets the same high quality attention. We know the financial wellness is a concern for many recent college graduates. It is why we also provide for financial counseling to help with student loan debt, credit card debt, and even creating a simple budget. These type of benefits are extremely important for anyone who lives in a city the size of Philadelphia. Challenges of urban life are going to arise without warning. A group legal plan or financial wellness support are benefits many employees want to have. Philadelphia organizations want to provide excellent benefits for hard-working staff. They particularly want to see to it that their employees are relieved of an awful lot of stress that distracts from work. These employers seek the best possible return on investment and they want efficiency. They will get both with Countrywide. Our administration has a reputation for providing almost immediate assistance. Employers also are given the courtesy of choice. While our group legal plan benefit and our financial wellness benefit both have a number of options, we allow a client to choose what the organization wants in the respective plan. It means that what is provided to employees is tailored to their needs, as determined by executive management. Benefit options that are irrelevant will not be in the plan document. This helps things to be more manageable and much more affordable as well. Philadelphia is a city rich in history and offers a chance for any to have a prosperous career. Countrywide wants to be able to offer the kind of benefits that relieve anxiety and help the person to concentrate on work projects. We can assure any client that the very best possible member service is offered by Countrywide and its associates. We encourage Philadelphia human resources directors and other decision makers to contact us at their convenience.